In spite of its universality, mixing is poorly understood and generally speaking, mixing problems are attacked on a case-by-case basis. 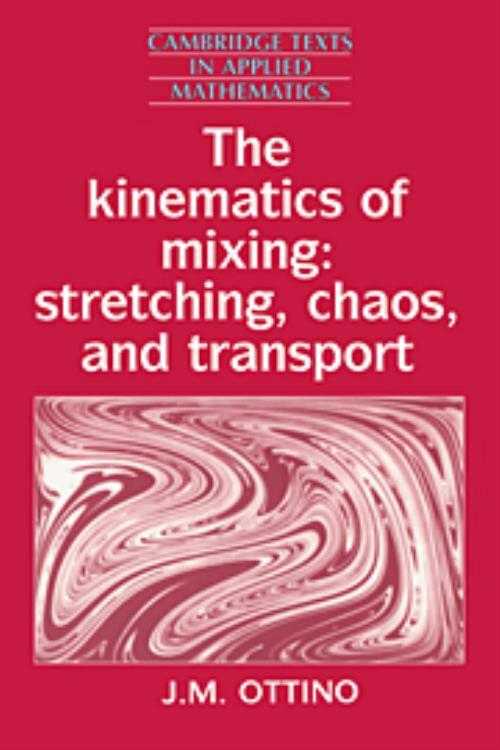 This is the first book to present a unified treatment of the mixing of fluids from a kinematical viewpoint. The author's aim is to provide a conceptually clear basis from which to launch analysis and to facilitate an understanding of the numerous mixing problems encountered in nature and technology. After presenting the necessary background in kinematics and fluid dynamics, Professor Ottino considers various examples of dealing with necessary background in dynamical systems and chaos. The book assumes little previous knowledge of fluid dynamics and dynamical systems and can be used as a textbook by final-year undergraduates, graduate students and researchers in applied mathematics, engineering science, geophysics and physics who have an interest in fluid dynamics, continuum mechanics and dynamical systems. It is profusely illustrated in colour, with many line diagrams and half-tones. Systems which illustrate the most important concepts, many exercises and examples are included. 9. Epilogue: diffusion and reaction in lamellar structures and microstructures in chaotic flows; Appendix; List of frequently used symbols; References; Author index; Subject index.